For any company targeting the Chinese market, it is critical to register a WeChat Official Account. WeChat counts almost 1 billion users that utilize the app on a daily basis and not merely to communicate with other users. WeChat has become a must-have tool for shopping online, reading the news, buying tickets, book appointments, sending money, and more. 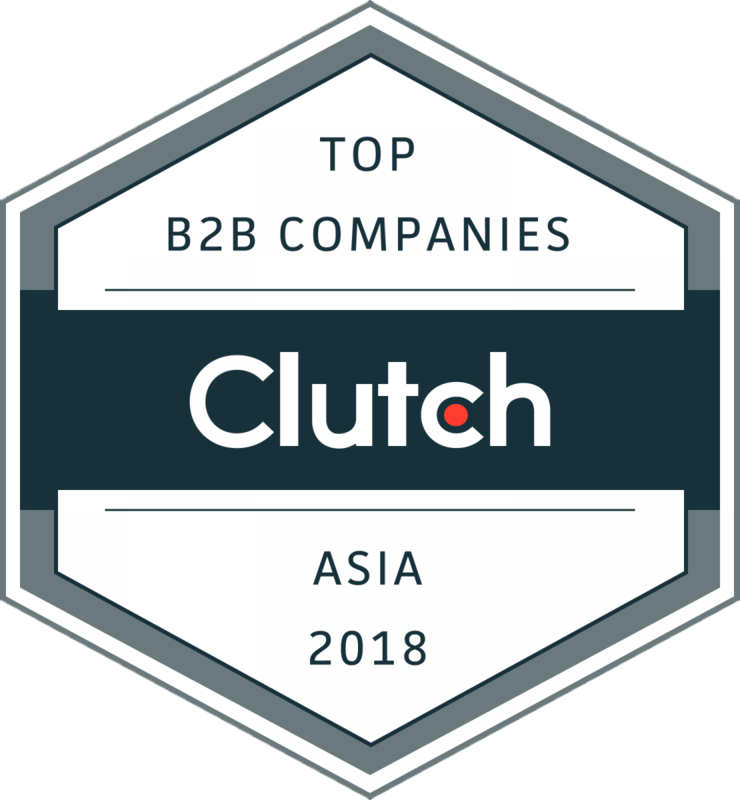 Therefore, an average Chinese user interacts with WeChat throughout the day, offering businesses an invaluable tool to reach a massive audience. 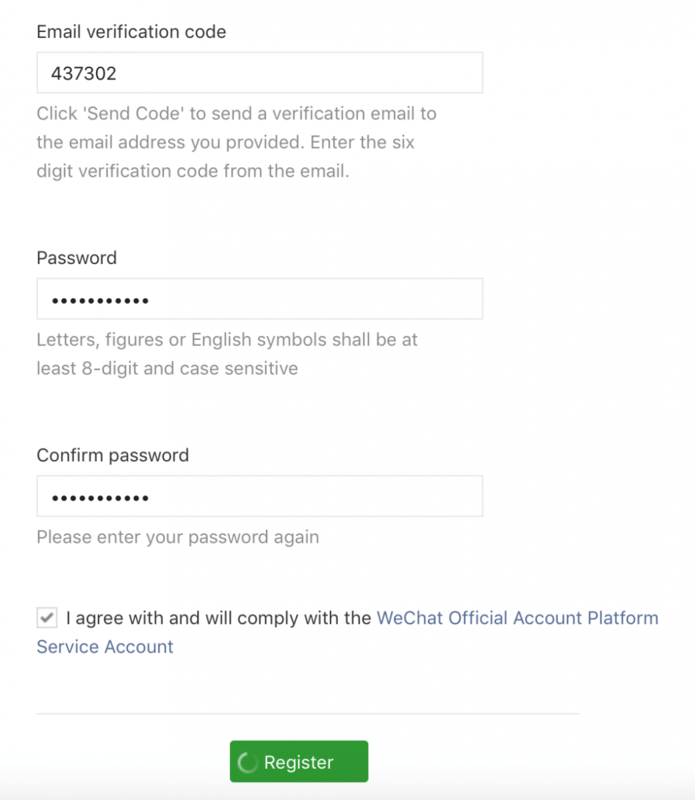 That said, If you have ever tried to register a WeChat Official Account for your business, you may have bumped into a common roadblock with this process, namely confusion. Many foreign enterprises are somewhat confused about the different types of apps available such as the regular WeChat app, WeChat Mini Program, WeChat Shop, and so on. Moreover, to make things more complicated, foreign companies who tried to register a WeChat official account found themselves confronted with a daunting and often discouraging task. The overall registering procedure is more complicated than other popular social media platforms like Facebook or Instagram, and you have to deal with some Chinese bureaucracy that can be difficult to understand. 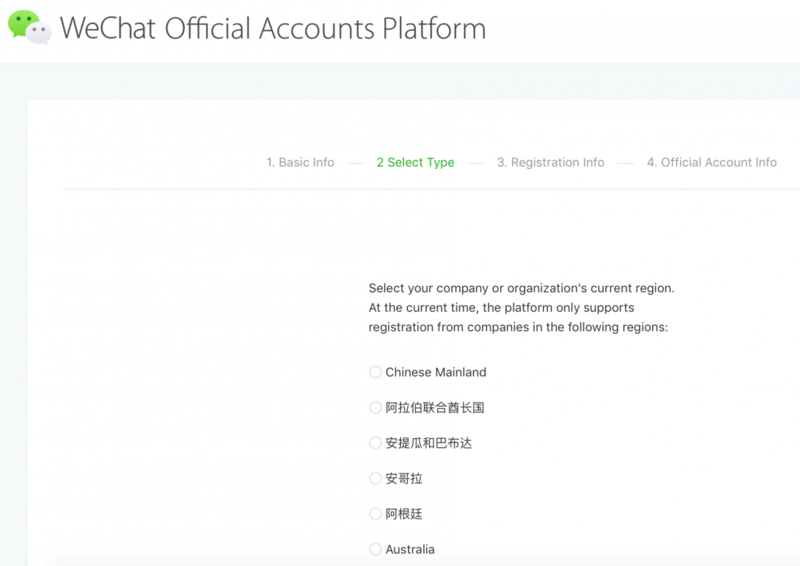 Therefore, we prepared this tutorial aimed at dissipating your doubts and helping you make your WeChat Official Account registration as comfortable as possible. First of all, we will discuss different types of accounts available so you can decide which one is the most suitable for your business. 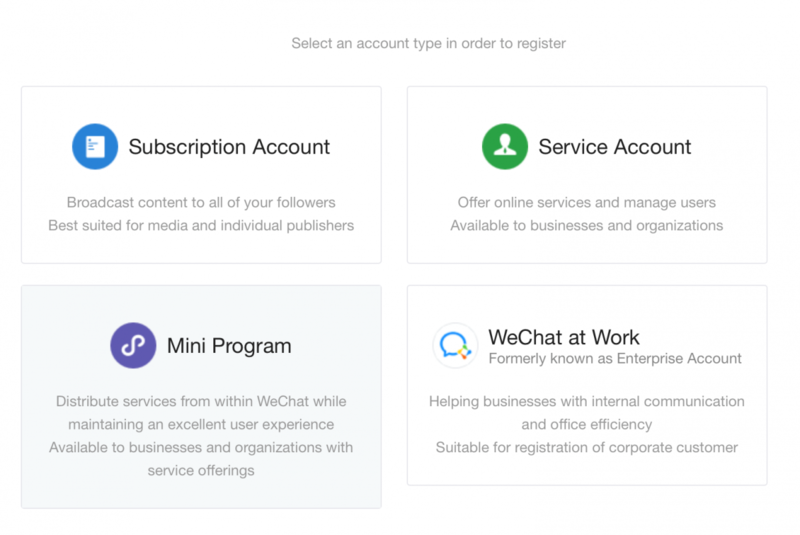 Before registering a WeChat Official Account for your business, you need to determine the type of account that best fits your marketing strategy. You must decide between Subscription or Service account. In the chart below you can see a detailed list of the main features that come with each option. At first glance, the Subscription account may look way more limited than the Service account and, for the most part, it is. Specifically, the Service account gives you more opportunities to collect data about your users, and your Service account will appear as friends in the “chat” section of WeChat resulting in more visibility. On a negative note, however, if you go for the Service account, you can only send 4 push messages per month opposed to 1 message per day with the Subscription account. The different amount of possible messages is a critical difference and probably the most important feature to take into account to make your final decision. For instance, if you run an e-commerce business, creating a relationship with your customer is pivotal. 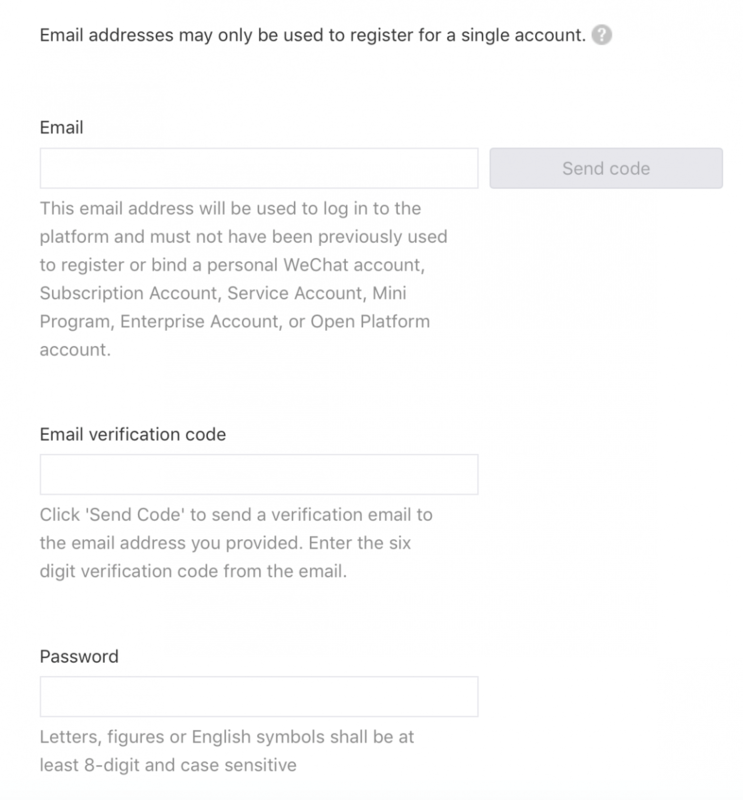 If this is the case, the 4 monthly messages of the Service account will be of no good to you for promoting your business, therefore your best option would be the Subscription account. In the end, it is impossible to say which account, between Service and Subscription, is better because it entirely depends on the scope of your business. On the positive side, if you realize that your decision wasn’t the best and need to switch the account type, you can do that. Nevertheless, it is highly advisable to consider your needs carefully before opening the account to avoid wasting any extra time changing it later. Side note, WeChat does have an International account. However, the International account is only visible outside of China and therefore utterly useless if you are targeting the Chinese market. 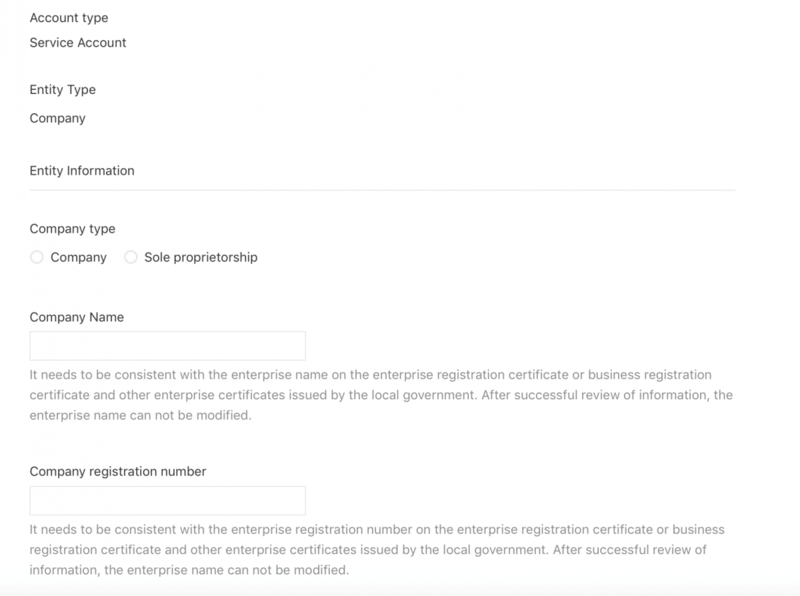 First of all, to register a WeChat Official Account, you need a Chinese business license. If you don’t have one, you may attempt to register an Overseas China Service account with the help of an agency who will try to verify your international business license. However, if you want to enter the Chinese market, you should avoid this option. 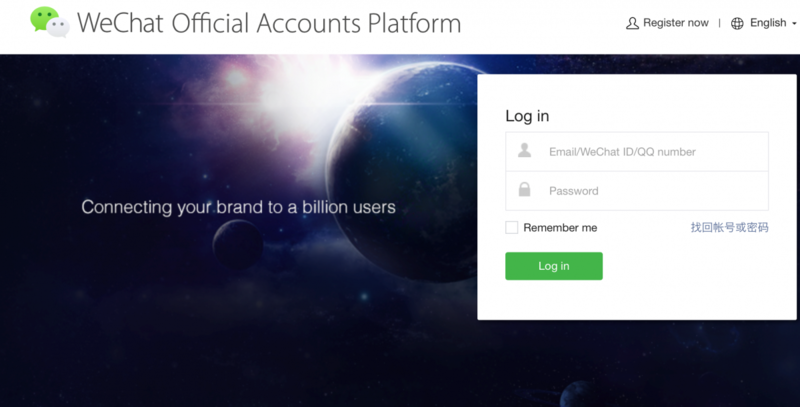 #1 Go to the WeChat Official Accounts Platform at this address https://mp.weixin.qq.com and click on register. 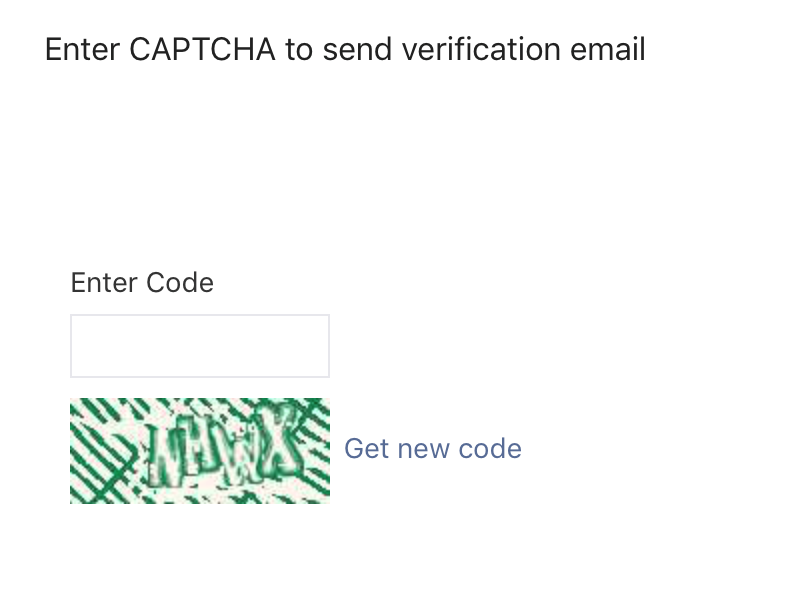 #4 Enter the Captcha code to send the verification code to your email box. #8 Select how to verify your account. Here you will find 3 options, but we recommend to use “WeChat Verification.” This method will cost you 300RMB annually, but you will receive the gold badge that gives you access to advanced features. #9 Create your account profile. In choosing your name keep in mind that it has to be unique, spaces and special characters are forbidden, and you can only use Chinese and alphanumeric characters. #10 Click on “Done,” and your WeChat Official account will be placed into a temporary status. 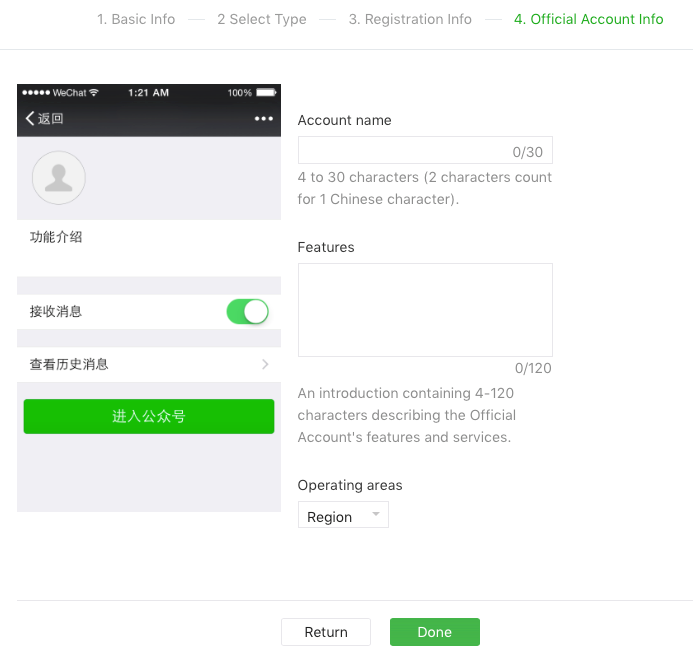 From that point on you have 30 days to verify your registration and to start using your WeChat Official Account. 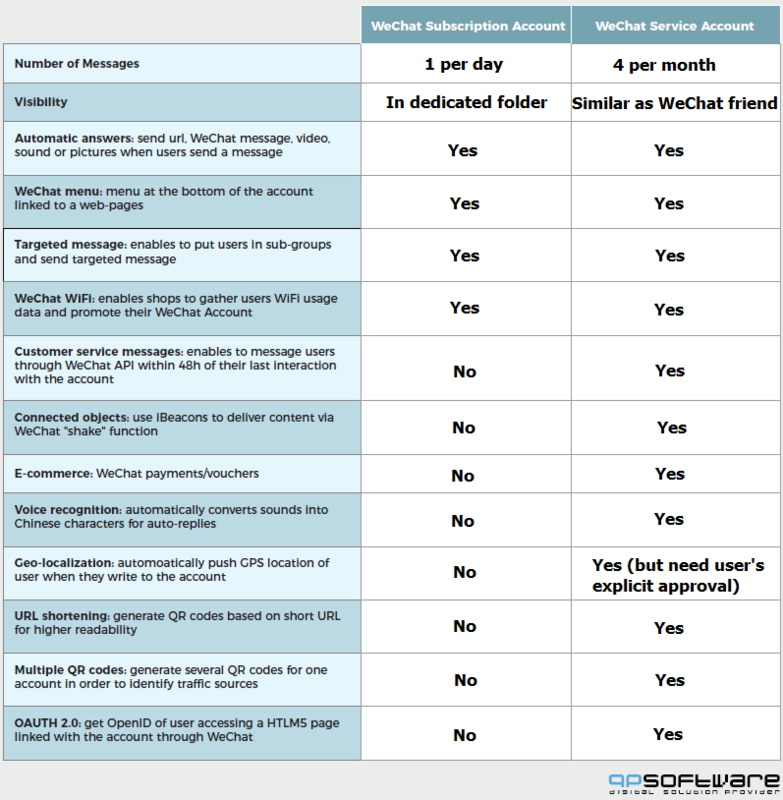 After reading our tutorial on what are the differences between WeChat Subscription and Service accounts and how to register a WeChat Official account, we are sure that you have the needed information to complete your account setup. However, keep in mind that WeChat procedures may change suddenly and as you start your registration process, different or additional steps may be required. 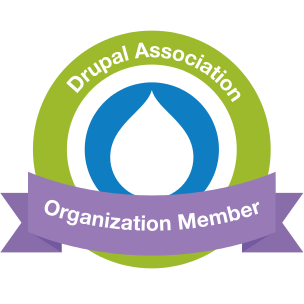 As an alternative, you can reach out to a professional web design agency in China like QPSoftware who can handle the registration process on your behalf. Moreover, QPSoftware can even design a WeChat App for your business and advise you on the best practices to reach a larger audience on WeChat. We have more than 10 years of experience in the Chinese market, and we can help your business to find its success in this part of the world. Call us today, and we will explain what we can do for your business in China.